The £16m phase-one project, designed by Arup Associates for the University of Cambridge, provides a world-class facility, under one roof, for hundreds of athletes from the University and local community. Working for main contractor SDC Builders Limited, Bedford is Network Weber EWI specialist applicator M Clarke & Sons, Brentwood, Essex. 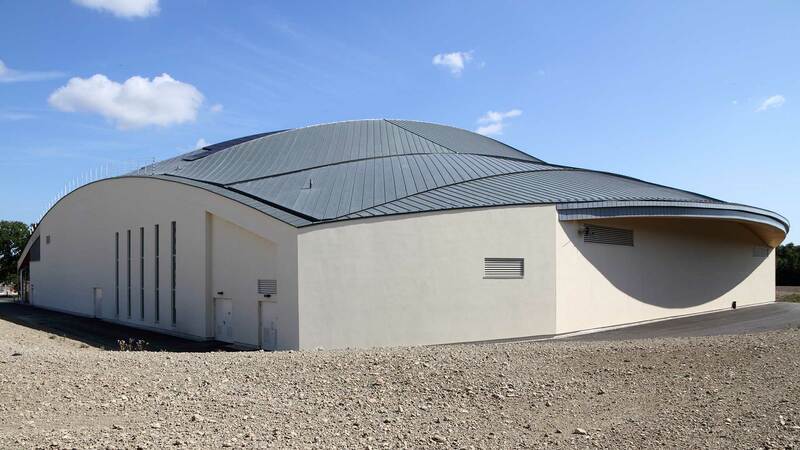 M Clarke & Sons was responsible for the installation of the award-winning, BBA certificated, webertherm XM EWI system for this iconic sports building which has been designed with an integrated approach to sustainability, engineering and architecture. 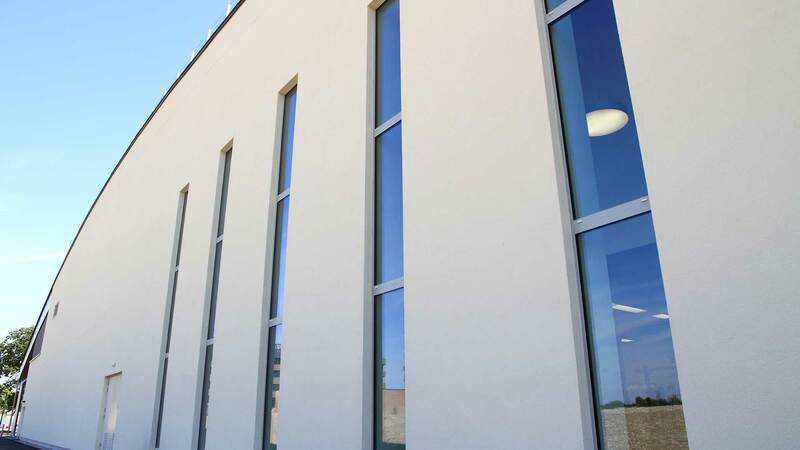 webertherm XM EWI is a lightweight system that incorporates thin-coat polymer render with a meshcloth reinforcement. 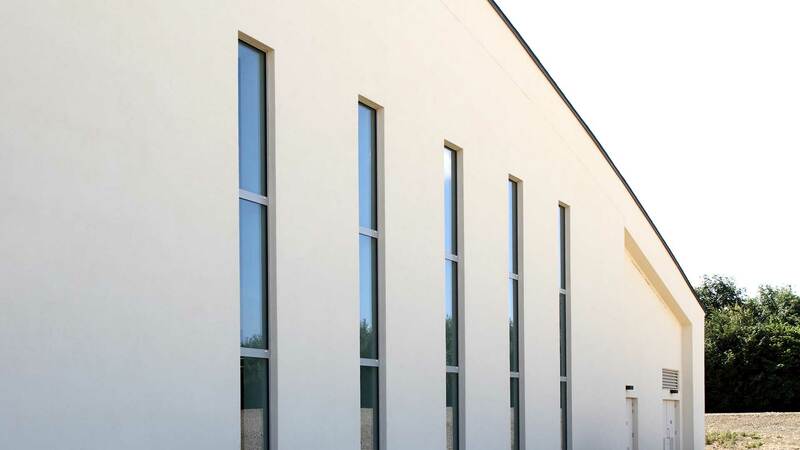 EWI eliminates the risk of condensation within the wall structure and overcomes the occurrence of thermal bridging, ensuring a dry and stable structure. More than 4,500 m² of EWI has been installed. The specification has been calculated by Weber to attain a low U-value of 0.25 W/m²K. This has been achieved using 120mm thick expanded polystyrene insulation which is both bonded with weberend LAC as adhesive as well as being mechanically fixed to the frame panel substrate. The insulation is protected with an initial 3mm coat of weberend LAC render into which the meshcloth reinforcement is embedded. This is followed with a second 3mm coat of weberend LAC which completes the render structure. In preparation for a decorative finish the render surface is coated with weber PR310 pigmented primer and then a final finish using weberplast TF, an acrylic based, textured finish that provides a weather proof, durable and low maintenance architectural façade. Phase one of the development, which occupies a prominent position on the West Cambridge campus and facilitates the University’s science and technology hub, provides extensive facilities including a multi-purpose sports hall with 16 court options for a variety of sports; a multi-purpose space for martial arts, fitness classes and dance; a health club with fitness suite and conditioning rooms, as well as lecture space and a cafeteria. Future phases on the same site, subject to funding, will include a sports medicine and rehabilitation space; indoor and outdoor tennis courts, and ultimately a swimming pool. The University of Cambridge Sports Centre, which will be BREEAM assessed, is reported to be the start of a new era for sport in the region. Its environmentally friendly and sustainable design is of a standard befitting Cambridge and another prestigious building for the University. Weber EWI systems satisfy current Part L Building Regulations’ and are Energy Saving Trust recommended. While being exceptionally thermally efficient EWI helps to conserve energy and contributes to a reduction in CO₂emissions.